You all know that I love saving money on pretty much everything in life. And even though I mostly blog about saving money on groceries and household items, I am always looking for ways to get the best value for my money in other areas of our budget. One thing that I am always trying to save money on is eye care. Sadly neither Justin or I have vision insurance and, as I am sure you know, the costs of eye doctor appointments, glasses and contacts add up way too quickly. 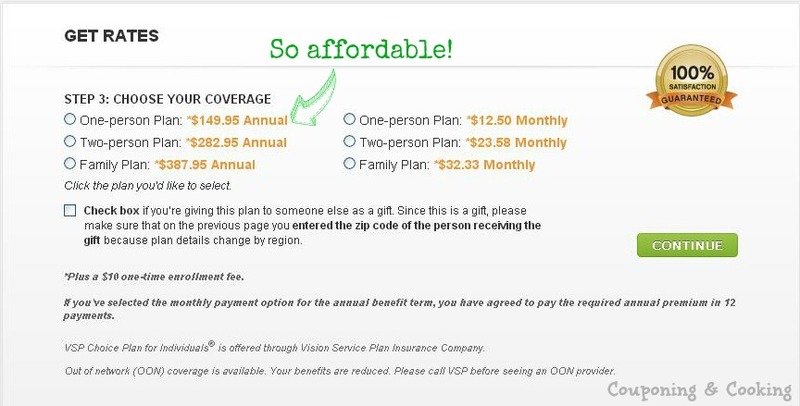 And being the savings seeker that I am, I can't believe I hadn't heard of VSP Direct VisionCare Insurance before. 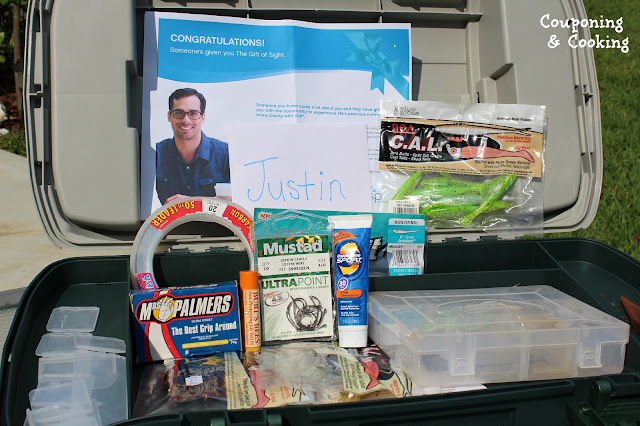 When I got the chance to give the gift of vision insurance to someone I love, I knew right away that my husband, Justin, would be the perfect person to give it to. As a firefighter, surfer, fisherman and general outdoor activity lover, Justin goes through contacts and glasses at an absurd rate. Between losing them, breaking them, or tearing them, he tends to need new glasses or contacts faster than our budget allows. 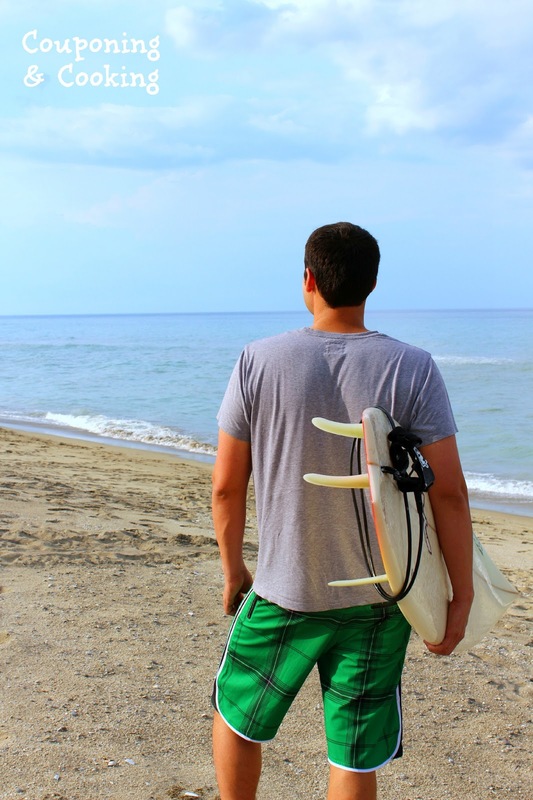 Obviously he can't not wear his glasses at work, but since he is so worried about loosing his contacts he often goes without them when he is surfing, fishing, kayaking, or enjoying other water activities he loves. 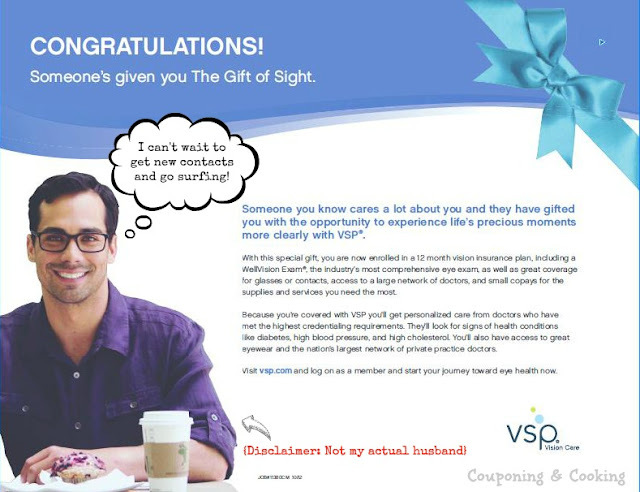 So I was really excited to be able to surprise him with the gift of vision insurance through VSP. 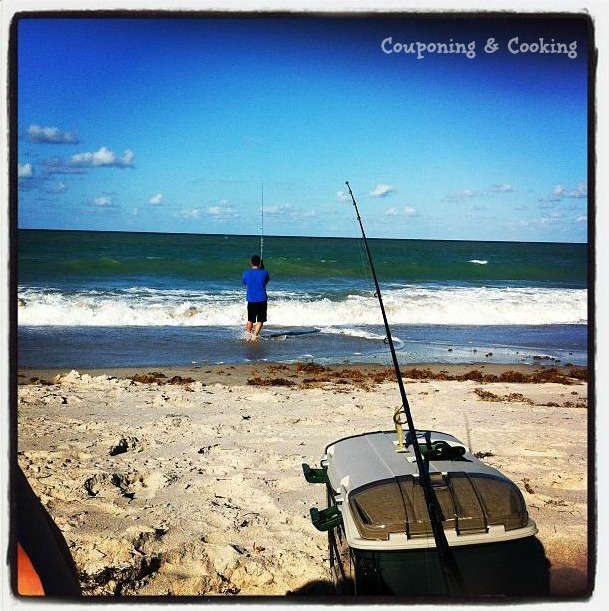 I hid his new VSP membership card in his tackle box that he always takes to the beach with him. 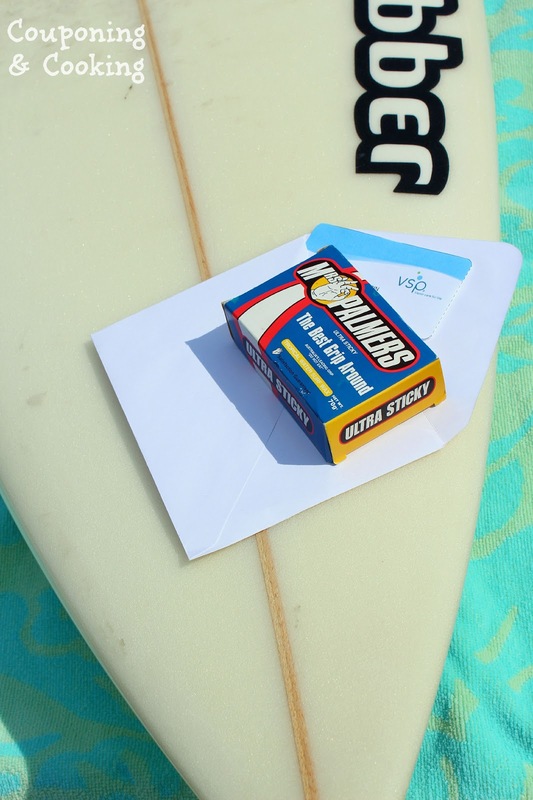 I included a few extra things to help him enjoy his new vision too: surf wax, sunscreen, lip balm, hooks and tackle. He was thrilled and completely surprised. In fact, he has actually already called his eye doctor to make an appointment. I was pleasantly surprised with how easy it was to sign up with VSP. It took me all of ten minutes and he was all signed up and ready to go. I would have never thought to give someone the gift of vision insurance but VSP made it easier than going to the mall to pick out a typical present. And this gift is one that will continue to give Justin the ability to continuing enjoying the things he loves and see clearly while he is doing so and that is priceless.